Tropicana: 9’6″ x 14’6″ rectangular pool design is a great plunge and cocktail pool. It offers a large seat for relaxation and good space to float during the hot summer. 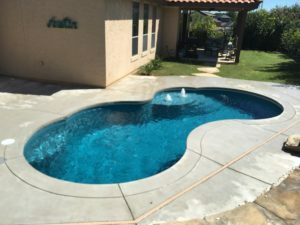 Many of our customers will add spa jets so they can turn their pool into a spa… or what we call a “spool.” Although it’s considered one of our smallest pool models, this has become a popular small inground fiberglass pool design. Clearwater: 11’x20′ classic style pool design offers large stairs and beach seating in the shallow end of pool. The Clearwater is an excellent plunge pool at a comfortable depth. It has a max depth of 5′ and is the perfect addition to tight access and small backyards. 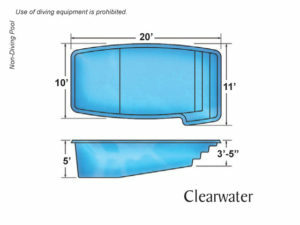 Picasso: 12’x24′ Picasso is a free form style pool with many options. 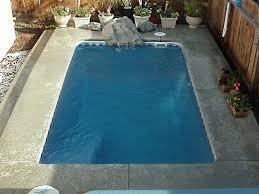 It offers a large tan ledge in the shallow end and couples seat in the deep end. The tan ledge is a great area for our bubblers. This gives the sounds of moving water and helps cool the water in the heat of summer. It also has offers an unobstructed swim lane for exercise. Bermuda: Small inground fiberglass pool models come in a variety of shapes and sizes, but our 12’x26′ freeform pool model is the ultimate cocktail and entertainment pool. It offers three generous seating areas, which are great areas to add spa jets. It still offers plenty of room for swimming, games and floating. 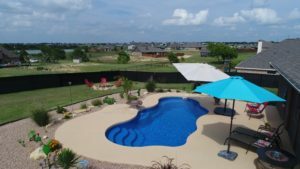 The Bermuda is a great pool for almost any backyard. 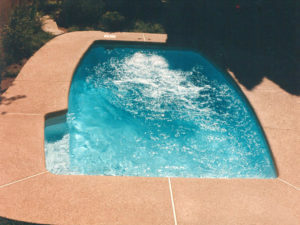 Malibu: 12’x26′ pool-spa combination. This offers the best of both worlds, the pool offers generous seating and large tanning ledge, while the spa is 8′ round and comfortable for several adults. 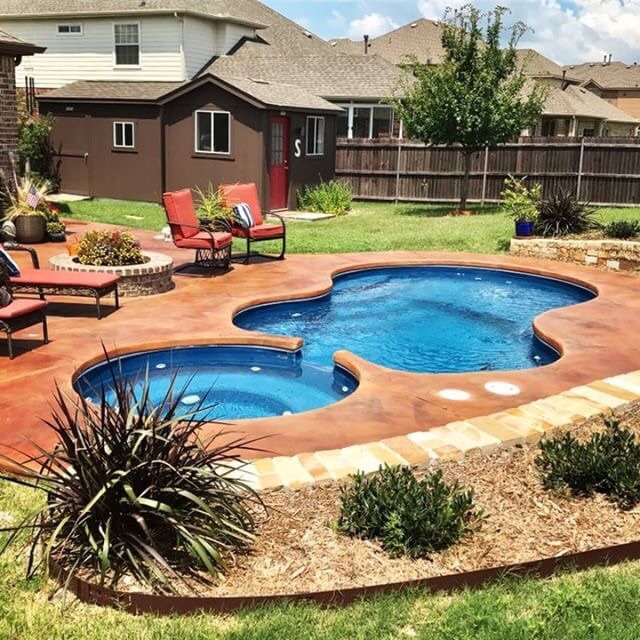 For more information and pricing, check our Pool Specials page.